Shipments of application processors for smartphones in China, declined 4.2% in the first quarter of 2014 from the last three months of 2013. Year-over-year though, Q1 shipments gained 10.8%. Extremely popular with low-cost smartphone manufacturers in China, shipments of MediaTek's application processors continued to show declines sequentially, with a drop of 6.1% in the first quarter of 2014. 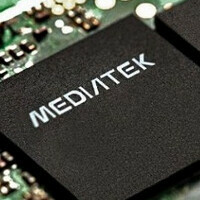 MediaTek's focus on mid to high-end models was considered to be its downfall in the period from January through March. Still, analysts warned that it was the second consecutive quarter that showed a sequential drop in AP shipments for the silicon slinger. Qualcomm's AP numbers were negatively impacted by poor demand for its reference designs for entry-level and mid-range handsets. Qualcomm is just starting to offer reference designs for Windows Phone and Firefox OS, and it will take some time for this to show up in sales. As we noted on Monday, ABI Research expects 67% of all smartphones by 2019, to be based on chipset makers reference designs. HiSilicon Technologies, which is owned by Huawei and is used on most of its phones, and NVIDIA, both had lower shipments of AP chips from the fourth quarter of 2013 to the first quarter of 2014.
result of those octa core crap from mediatek which still lag. They didn't provide drivers necessary for KitKat upgrade till now, this may teach them a lesson for the future. I want high end professors. Someone who can teach well.